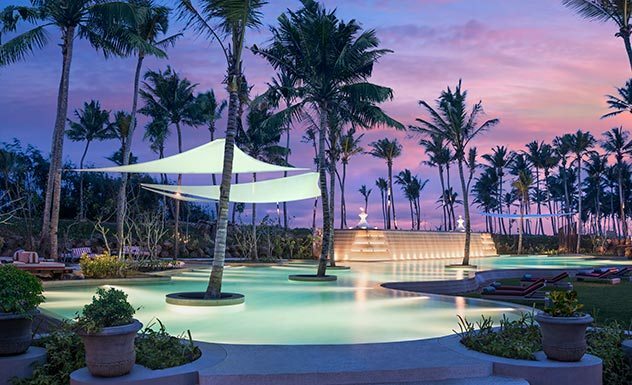 Shangri-La's Hambantota Golf Resort and Spa is a 300-bedroom hotel sprawled across 58.8 hectares, which seals it as Sri Lanka’s largest resort complete with an 18-hole golf course deep in the south of the island. 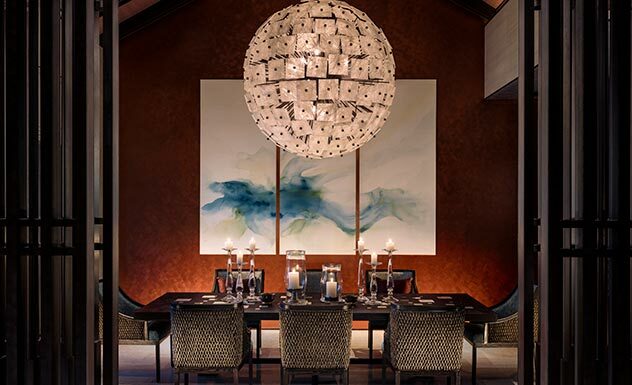 The first Sri Lankan hotel of the global franchise Shangri-La, based in Hong Kong, the hotel exudes its globally renowned and known luxury and comfort. 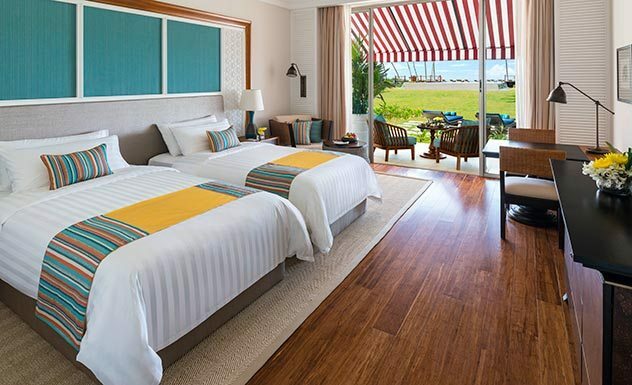 The 300 bedrooms are categorized as Deluxe Garden, Premier and Premier Ocean, of which the 21 suites are categorized as Premier Golf Suite, Premier Ocean Suite, The Specialty Suite as well as the Janapathi (Presidential) Suite. Wi-Fi is freely available in all parts of the hotel, including the rooms and suites. 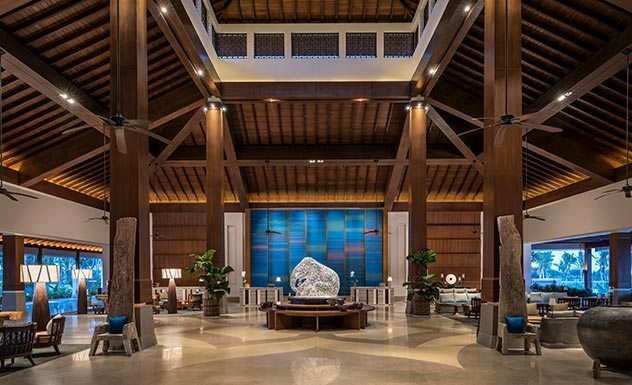 Encircled by landscaped gardens flanked by rows of coconut trees with summer huts scattered across the lawn, the hotel resembles an island of its own. 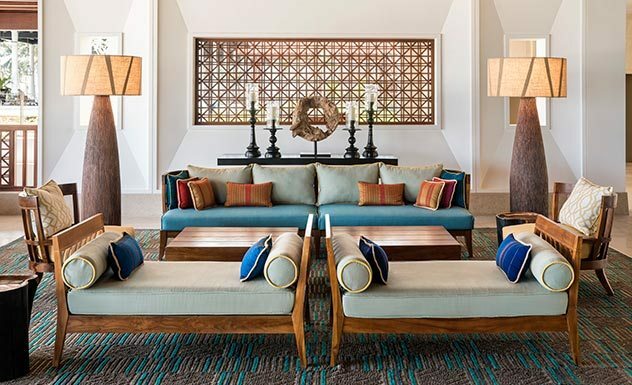 The expansive lobby area is decorated in soft pastels of blue and orange and is furnished with a variety of stylish sofas and chairs as well as sculptures of different sized elephants made out of numerous materials. 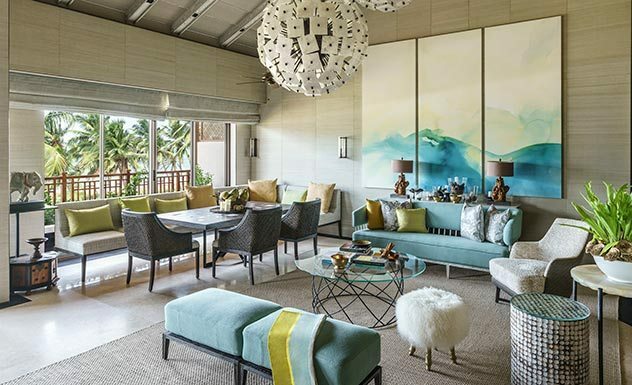 The lounge area overlooks the garden and pristine blue seas and is yet another favored place for guests to relax and unwind. All rooms are expansive, air-conditioned and furnished with king-sized or twin beds. They also feature a pillow menu, en-suite bathrooms that include both showers and tubs, and a private terrace complete with chairs. 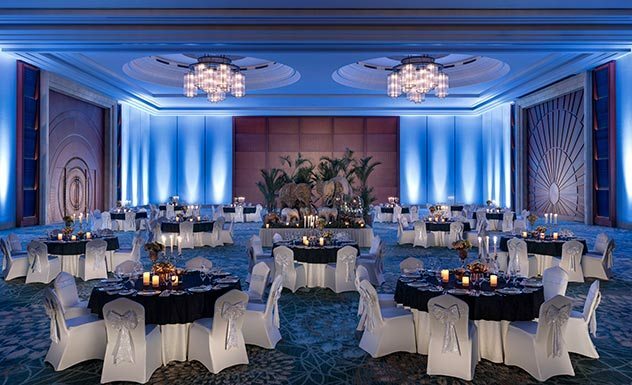 Elegant décor adds character to each room, making every spot in this hotel an enticing one. 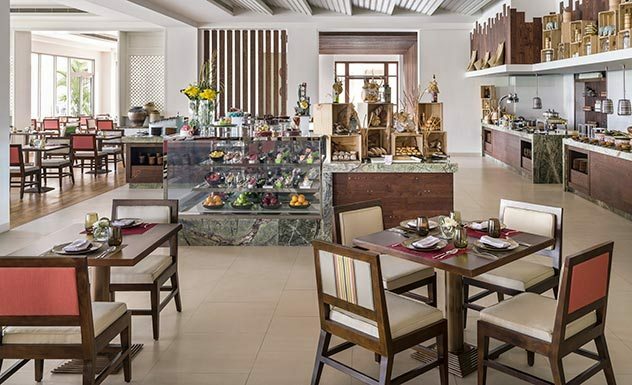 The hotel’s all-day dining restaurant serves an extensive buffet highlighting Sri Lankan cuisine and fresh produce. 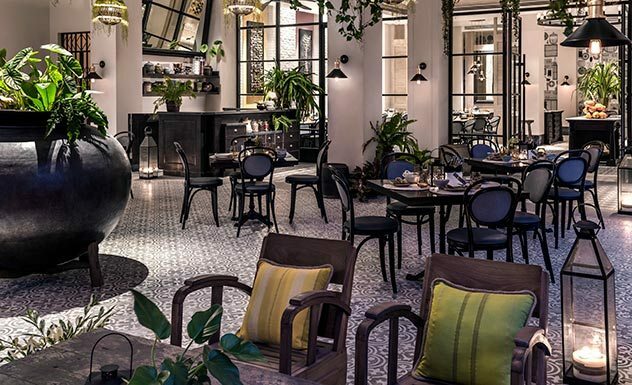 Their second restaurant, Sera, offers a variety of comfort food from the streets of Thailand, Singapore, Malaysia and China. 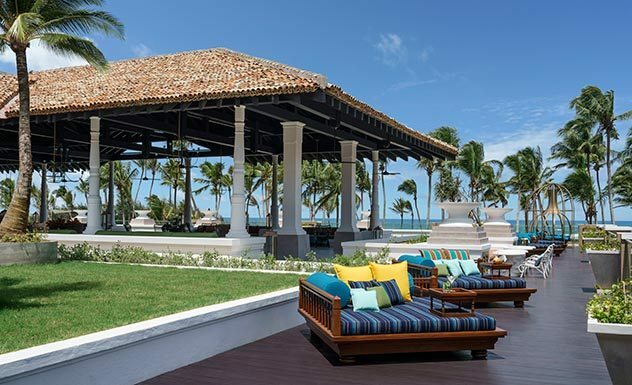 Shangri-La Hambantota welcomes children of all ages. The hotel has a dedicated play area for kids, a children’s and teens’ club and a separate dining area and menu especially for children. They even offer complimentary buffet options for upto a maximum of two children under the age of 12. If there are more than two children of the specified age, you can enjoy a 50% discount.